It seems as though it was only just Christmas... I blinked and we're suddenly half way through January. Time certainly does fly by during the school summer holidays. I have some exciting things planned for the blog in the next few weeks, but I thought I'd pop in here quickly today to share a few pictures of some custom cushions I made as commissions before Christmas. They would have all gone to their new little owners and really hope they love them as much as I loved making them. This first cushion was for a little girl called Harper. My brief was for pink and very girlie. I think this unicorn print was just perfect for a little princess. 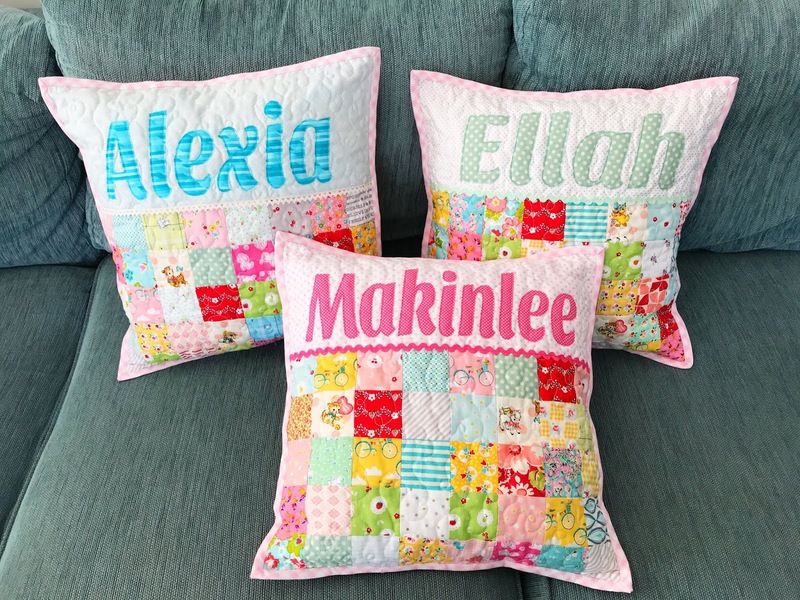 I then created name cushions for little girls (I think they were all cousins?). These ones all had an extra large pocket at the back for a book or their pyjamas. I really enjoyed playing with light girlie print squares. 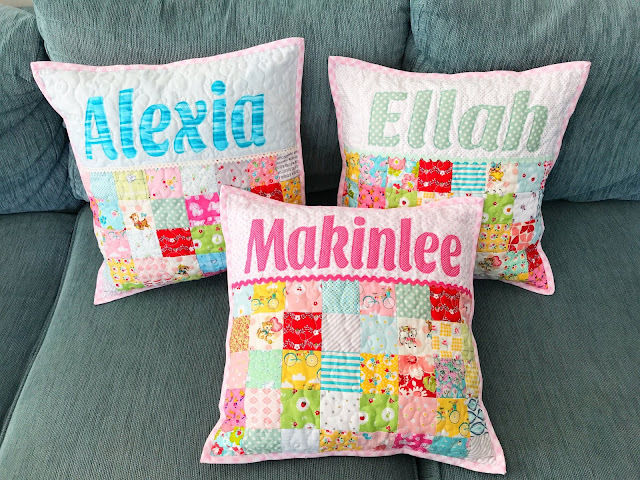 I hadn't heard of some of these names before so I made sure to double, triple and quadruple check the names before appliqueing them. 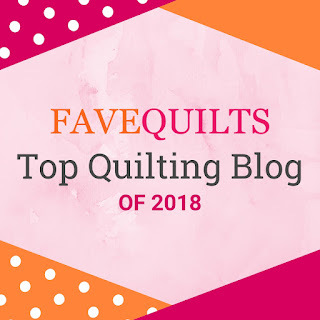 In other news, my blog has once again made it into the Fave Quilts Top Quilting Blogs - Yay!!! 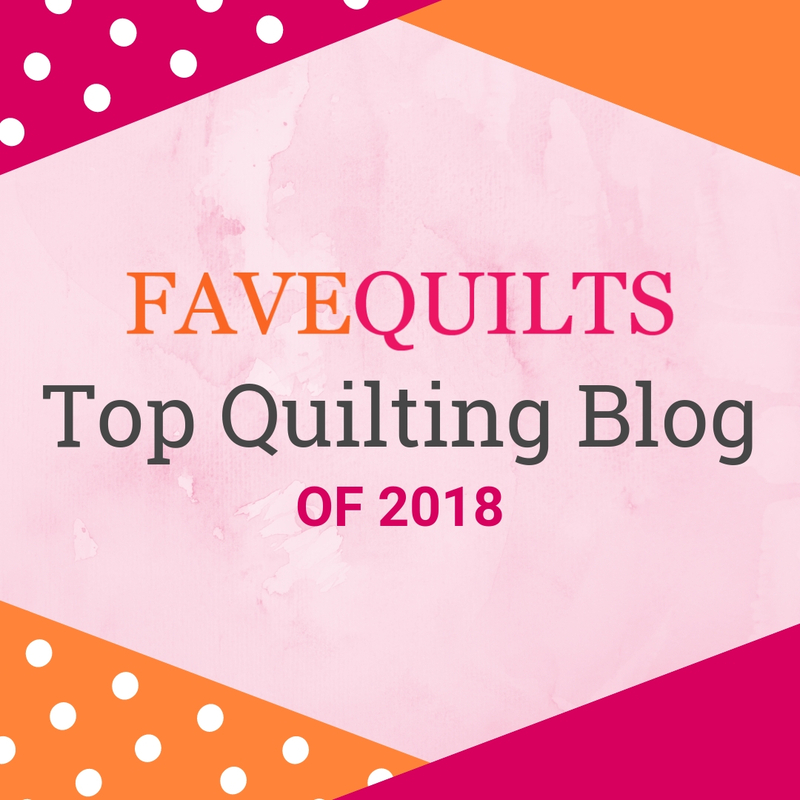 You can check out the list right here.